Ready for the ultimate dessert treat? 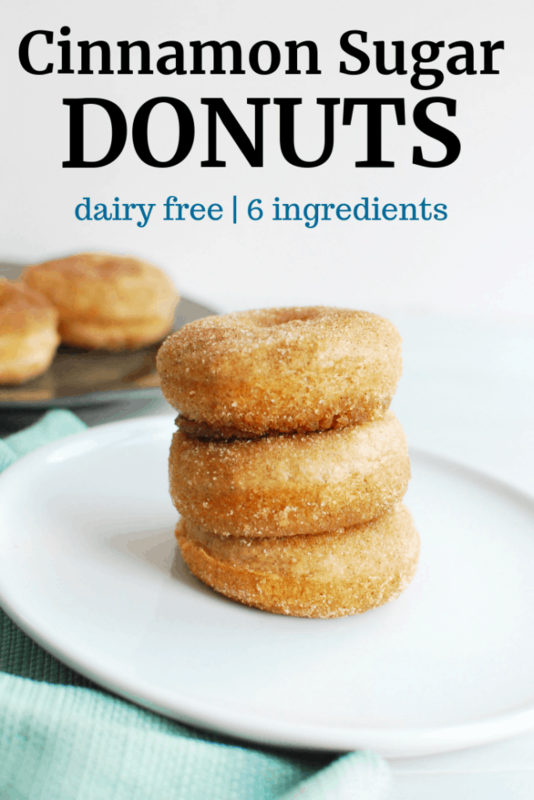 Try these cinnamon sugar dairy free donuts! What’s a food that immediately brings up warm & cozy memories for you? For me, it’s cinnamon sugar donuts. My family used to make them for me as a kid during the holidays, and I’ve carried on that tradition for my family on special occasions. Our go-to was always taking canned biscuits and frying them in oil, then dipping them in a cinnamon sugar mixture. 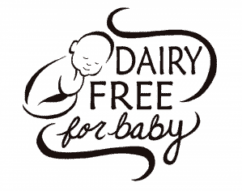 When I was dairy-free and soy-free for nursing, though, quite a few of the biscuit brands were out. Some actually didn’t have dairy, but many still had soy oil in them (which at the time I had been cutting out of an abundance of caution; many people can still tolerate soy oil). 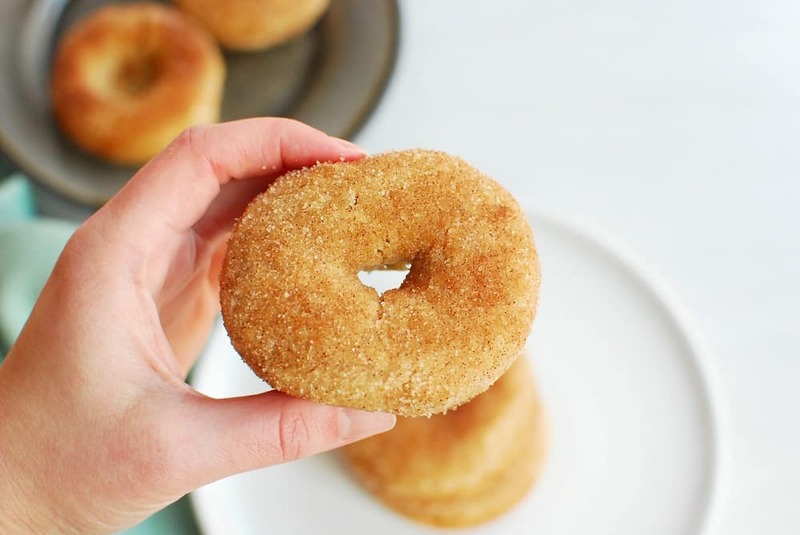 After researching some cinnamon sugar donut recipes online, I realized it would be pretty easy to switch out a few of the key ingredients with some of the standard dairy-free and soy-free substitutes. For example, instead of butter, using Earth Balance dairy-free/soy-free spread (the one in the red container). The result is these insanely delicious cinnamon sugar donuts. They’re rich, they’re sweet, and when you eat them warm out of the oven? Straight up heaven. Then pop it in the oven for about 12 minutes or so. Once they’re done, you’ll melt some additional Earth Balance spread in one bowl, and mix cinnamon sugar in another. Dip the donuts in the spread then sugar mixture, and ta-da – all done! You can make these in a normal donut pan or in a mini donut pan. I prefer regular size ones. 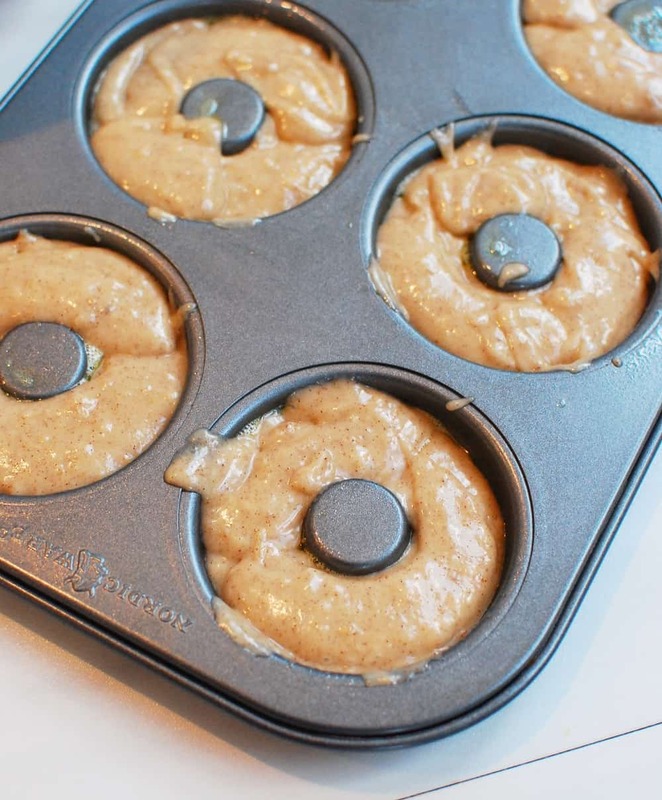 If you’re baking them in a mini donut pan, you may need to adjust the cooking temperature. These donuts can be a bit crumbly. I don’t think it’s a bad thing, because they taste insanely good, haha. 😉 If it bothers you, one way to avoid this is to use just slightly less donut batter in your pan. When the batter is too full, the donut is pretty large when cooked – and it can make it harder for the donut to hold it’s weight when you pick it up to eat it. I generally just hold mine in a paper towel while eating it so if it breaks, no big deal. It’s normal for the donut to be a bit lighter on the top compared to the side that was in the pan. I put mine towards the top of my oven which seems to help a bit with browning. But “donut stress” (bad-dum-dum) if they’re a little different color on the top and bottom. 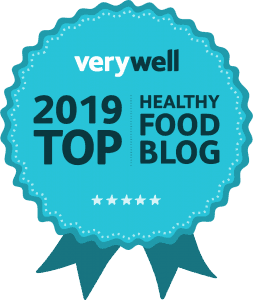 These donuts are dairy free, egg free, and soy free (as long as you use the red container of Earth Balance) – which makes them a great option for families dealing with those food allergies or intolerances. You should know that these donuts do contain wheat/gluten (in the all purpose flour) and tree nuts (in the vanilla almond milk). I haven’t tried making these with a gluten-free all purpose blend, but it’d certainly be worth a try if you need to watch out for that. If you can’t have tree nuts, the almond milk would be easy to substitute – you can use whatever other milk alternative fits your needs, like oat milk or rice milk. 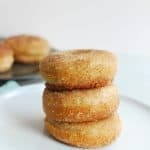 I hope you love these cinnamon sugar dairy free donuts as much as I do! If you try ‘em, be sure to leave a recipe rating and let me know your thoughts in the comments. 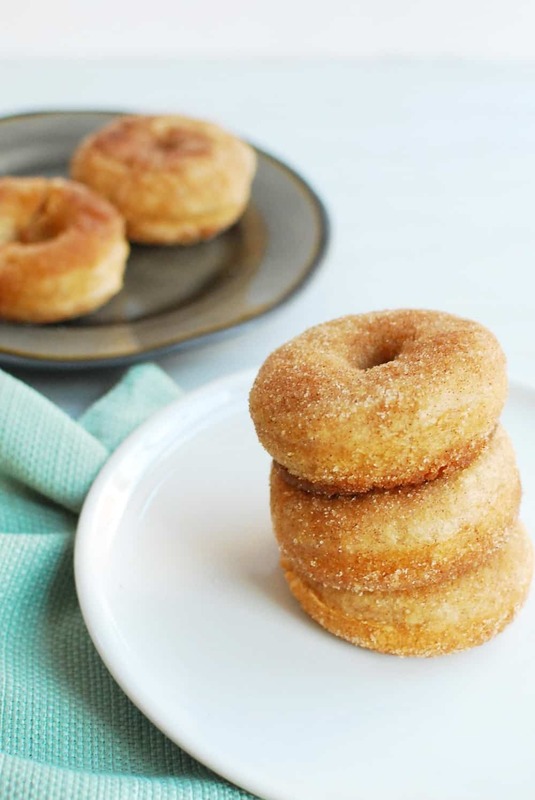 Try these rich baked dairy free donuts, coated in sweet cinnamon sugar! 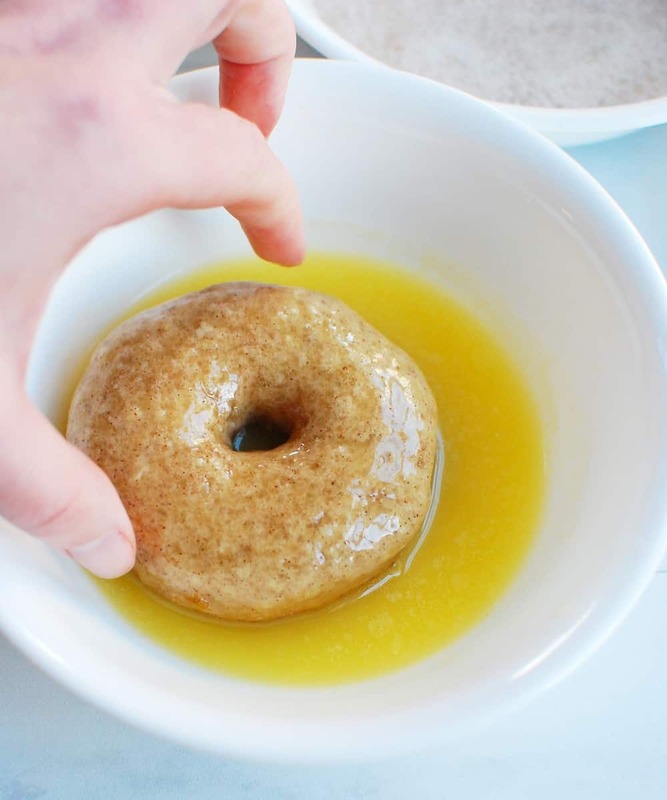 It’s the ultimate dairy free donut that your family will love – made with just six ingredients. Preheat oven to 375 degrees, and grease a donut pan. Put Earth Balance spread in a small microwave-safe bowl, and microwave for 30 seconds until melted. In a medium-sized mixing bowl, combine melted Earth Balance, sugar, and cinnamon. Stir in almond milk. Add flour and baking powder, and mix until just combined. Pour donut batter into the greased pan, and place in the oven. Bake at 375 degrees for 12-13 minutes, or until a knife pulls out clean. Meanwhile, towards the end of the baking time, prepare the cinnamon sugar topping. Add Earth Balance spread to a small bowl and microwave for 30 seconds until melted. In a second bowl, combine cinnamon and sugar. 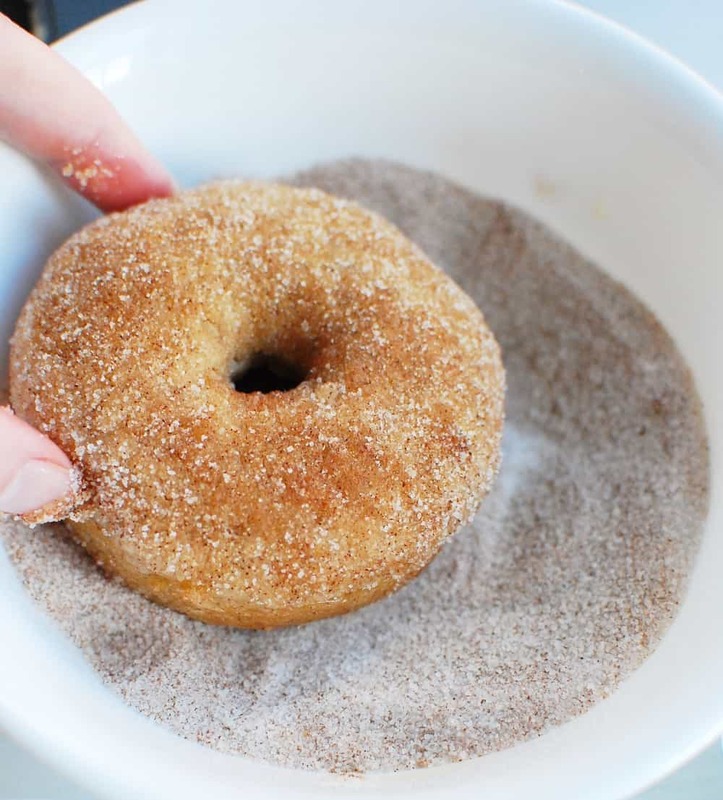 When donuts are done, take each one and dip it in the melted Earth Balance, then dip in the cinnamon sugar. Enjoy while still slightly warm! 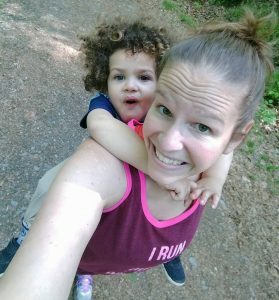 Share with me: What’s foods bring up family memories for you? What’s your favorite kind of donut? Did you try these dairy free donuts – and if so, what’d ya think?